Our previous puzzle appears to have been a bit of a tricky one, with only one solution submitted, although that was the correct one (and correctly described as “delicious“). Congratulations goes to Marios! It was a great study from a brilliant woman, Judit Polar – generally considered the strongest female player of all time. Taken from a 1998 game against Vishy Anand, and featured in a book: “Judit Polar: The Princess of Chess”. So to this week’s offering. 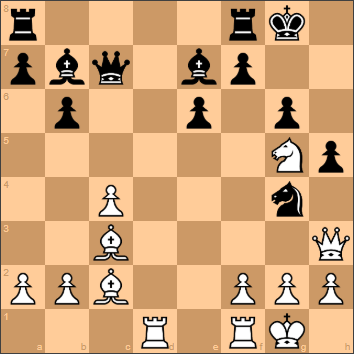 White to play and win!